Hi there! 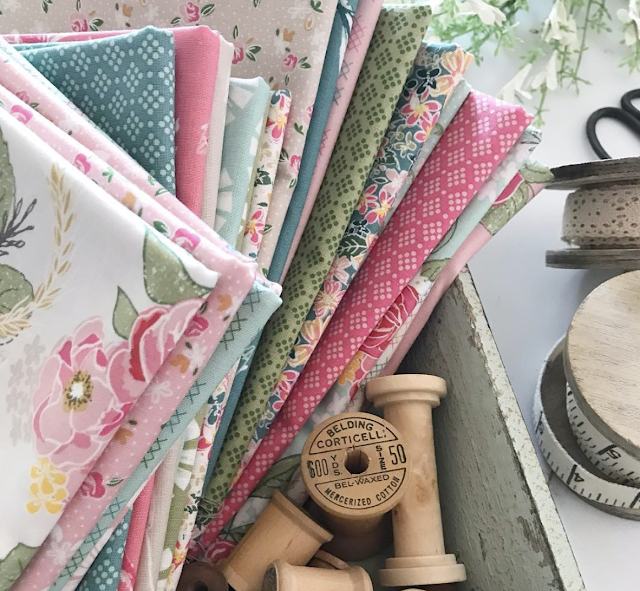 It is my turn on the Grandale Blog Tour - and I am super excited to share what I made with this lovely fabric! I LOVE this fabric by Keera Job! Each print in this collection is beautiful. The collection has a great mixture of large and small scale prints and the florals in this line are simply stunning, I can't get enough of them! I love designing quilt patterns. Sometimes I will design a pattern, and it will sit and wait for months until I find the right fabric for that specific pattern. I have been holding onto this pattern for a while now, and when I saw this fabric it was a perfect match! 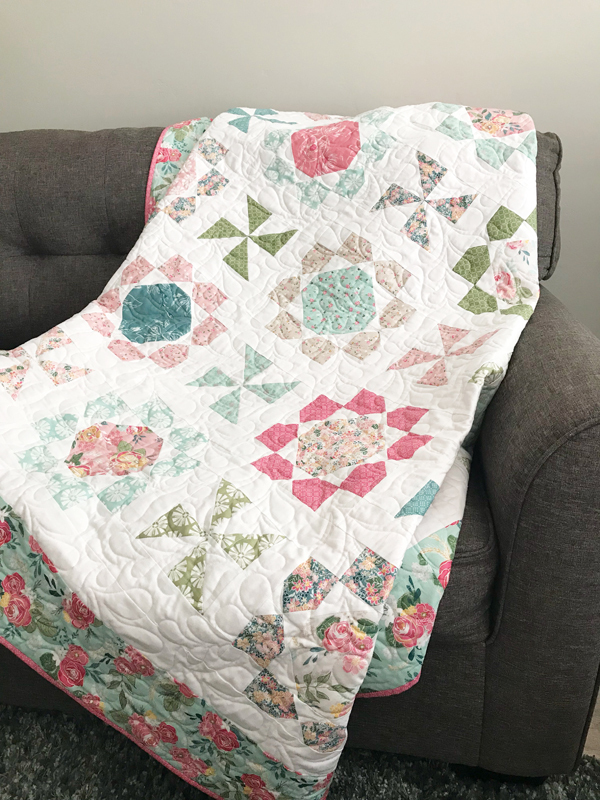 I KNEW I had to make this quilt with this fabric! The pattern is fat quarter friendly, and is made up of two different blocks. I used the entire Grandale Collection for this quilt because I wanted it super scrappy. If you would prefer it less scrappy, just pick a handful of your favorite prints and it would look just as lovely! I used a feather pattern for the quilting and I love how it turned out! Feathers are one of my favorite quilting designs - and it was a perfect fit for this quilt. I backed it with a solid, which coordinated perfectly with the pink in the quilt. I hope you enjoy the pattern, and for this week only I will have it on sale! 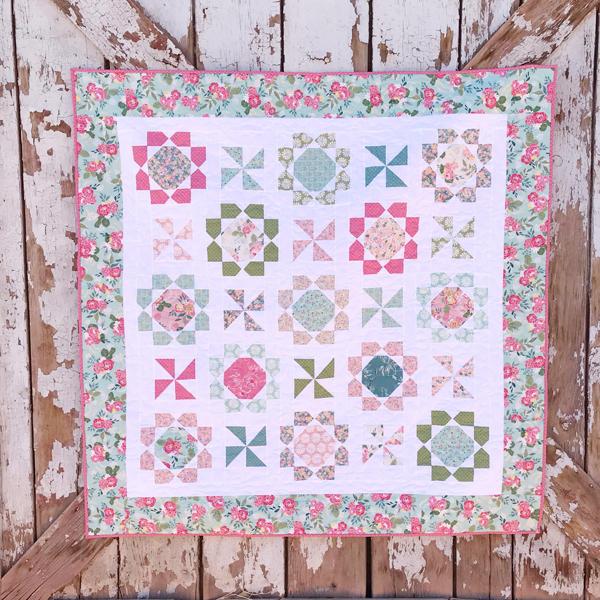 So be sure to pick it up and make your very own Pinwheels and Posies Quilt! Click HERE for the pattern! Be sure to stop by the other blogs in the blog tour for beautiful project ideas! Could you please tell me the name of the fabric line. 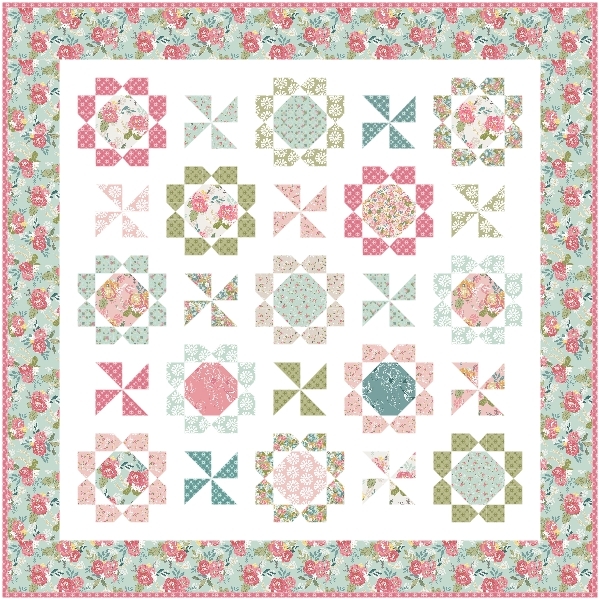 I just purchased the Primrose Cottage pattern. Thank you. 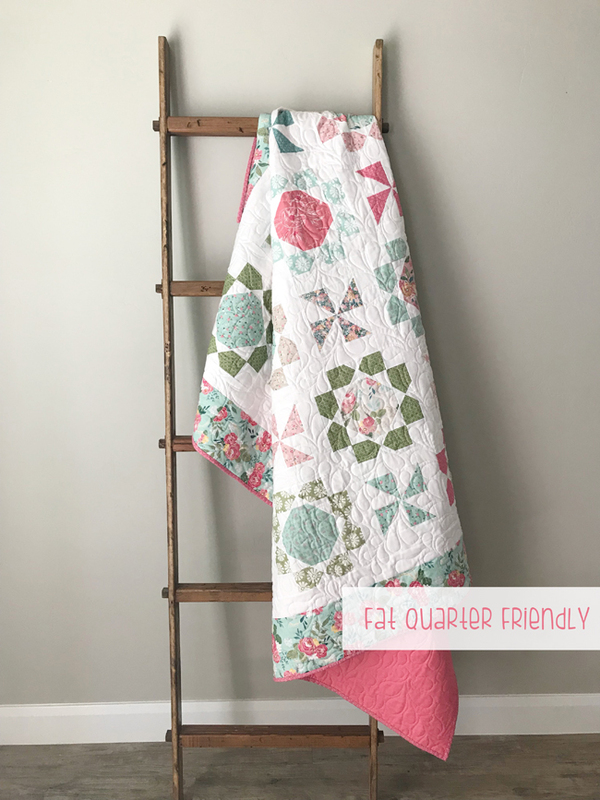 I love this fabric and this quilt is perfect for it. 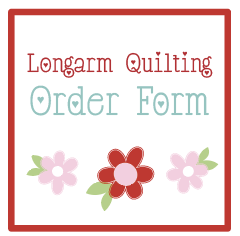 We are making kits for our shop so if you are looking for one check out JKQuilts.com. Thank you Lindsey for designing such great patterns.